HisHer ~ Our Earth Party Forever ~ New Good News of Forever 777. - God's Earth Party Forever site. Greetings fellow awesome immortal spiritual beings on the way up. Welcome to one of the earliest pages we worked on on this site. As you scroll down you'll see entries from 2012. At those very early days we only were able to place the links to videos and not the actual video for some reason. Anyway, we may be doing updates here to show the vids and restoring other content that is not with us anymore. We invite ya's to join the conversation. We have updated the headline for this page to reflect that this is, not only 'good news' but Now 'New' news as well, as we move forward in our collective journey. Anyway, Guys, if you would like to share this particular page, here's a URL. www.tinyurl.com/NewGoodNewsofForever777 We esp invite ya's to see the content starting below @ Dr Wayne Dyer's sharing of 10/28/12. It's an excellent place to join the conversation. If led to support our endeavor's with a note, a like or even a modest contribution, this is our anchor page w all our info. directs. Ok, God, so how does this work and what will be the outcome? First, humanity you need to de-stress yourselves and go on the giving standard i.e. where money is simply not needed. Earth is the only planet that has this stranglehold over its inhabitants. The time is Now for the complete paradigm shift of the ages. for each of us, we have to ask them - giving them our permission to be taken aboard. in the beginning. Fear not, there is absolutely nothing to fear, dear beloveds, as this is simply God's will and part of His perfect plan, Indeed. 'Uncle John's Band" written by those 2 prophets Mr Garcia and Mr Hunter. room to another only the new room will be designed by God to your perfect specifications because since God is in you and you are in God. to Good News ~ Documents there and see the document 2nd one down ~ announcement of a cashless society, dated 7/11/2002. communicate in the higher realms, just ask Jim Croce, you know how words can get in the way? Of course you do, indeed. Link to Good News/ Documents page. Jimmy Page, Robert Plant, John Paul Jones, John Bonham & Jason Bonham. A Day to be Free, Unfettered and Celebrated as God's will for HIS Beloved Children - The Sons & Daughters of Light. This Just In: Everyday is Now - World Freedom Day! Huh? Son/Daughter, Do you know you are, in reality, a limitless, multi-dimensional cosmic spiritual being playing the game of improvement here in the school-room earth? Infinite Creator (see sharing on front page) has declared us "Free" Therefore it must be so. And so it is Now. IJN. Why we have and must always have World Freedom Day ~ Every Day. to the Crosby Stills & Nash Southern Cross videos. Southern Cross is the 3rd "official song"
Thank you moody Jill for sharing on YT. Thank you Aurevlis for sharing on YT. Thank You Electric Light Orchestra and all fans of Life, Liberty and the pursuit of Happiness. Welcome to World Freedom Day! Announcement: It was written on the front page that there would be a 3 song and 3 album sharing featuring those of the female persuasion..
No one wants to wait, right? Well, guess what? HE was way ahead of us. It's already done. See Women's Voices (menu left) Will be added to, most likely. So, this is it beloveds, HE is done, this expression of His Divine love is here for you when you need or want it. See you on the road, your road is our road. p.s.. The following album pretty much sums up where we are humanity. Who else is ready for an adventure? Thank You Hippie Chick for sharing your amazing talent on YT. Thank you Darryl Hushaw for sharing on YT. Thank You David, Stephen and Graham for providing the soundtrack for "back in the day." Pure jasmine, still is! Keep rockin' guys! He says goes here. Done, and perfect. And God Bless you Brad! Thank you HWTVideos for sharing on YT. Thank You Boston. Tom Scholz, Brad Delp, Barry Goodreau, Fran Sheehan & Sib Hashian. was declared the "official" album for this site. lol That means we're up to 4 "official" albums. ) So let's hear it! Thank you b3r3z1n4 for sharing on YT. Thank you GreatOldiesDJ for sharing on YT. SHOUT OUT to Neil Young! Welcome One and All to "The Official Party at The End of The World" It IS the end of the world as we know it. do this because The Man from Nazareth ~ Jesus ~ "Made it so" for us. Thank You Jesus! Praise God!!!!!!! Speaking of friends, singing a song that means something. And, of course, The Fans~ You make it All Happen! channeled thru Master George Harrison. Nice, very nice. Thank You George and Paul. Thank You Master Neil Young. Who else wants to be forever young? Thank You Mistress Joan Baez. By popular vote: What is the female word for Master? And be Brothers and Sisters as we are Sons and Daughters of Heavenly Light and esp LOVE. Thank Ypu The Doobie Brothers and Fans! Why worry? Place it all in God's Hands and be happy. agreed to participate in this seminal event in Humanity's evolution. Let us get educated. one of the Earth's most loved and respected souls. That is Mr Jerry Garcia. to join him and Jesus and all the company of Heaven on the other side. This is the side of the veil to be on beloveds. There's no earthly care re money, putting food on the table, traffic or rudeness, not to mention killing, conniving, plotting evil and conspiring to annihilate anyone over there, no folderal at all. This is all worldly crap. And crap is the correct term for it. All God's children are invited to visit and soak up what you will, including overwhelming proof, evidence, forensics, etc. re this 'real deal' arriving on your doorstep this awesome day, at His gathering place. Thank you, God bless each and every one of you. Come to The Jubilee in the infinite mind of God ~ where You have a front row seat, if you want it. Keep smiling and as Jesus would say and does. "My peace I give you, accept my peace and I will lead you to everlasting love, light, truth and beauty beyond anything you can possibly imagine with your earthly minds." Thank you Jerry, David Grisman and Tony Rice. See you in Heaven and Heaven on earth. The merger has begun. All is perfect as Heavenly, Infinite Father would have it. Please, everyone tell everyone the Good News. This will be loaded to the New News section of His site. w Jesus & Paul aka "p"
**************** NOW. Is F R E E ! I read the news today HOORAY!!! Hey brothers and sisters, have you heard...God Is In The House! Oh oh, here's Father who will, as usual, say it in a song. What's the song Dear Heavenly Infinite Father? Thank you toshihiko yamamoto for sharing on YT. Meanwhile, Your and HIS humble servant is at your kind service. Can he help or get you something? be open for you, God willing. And So It Is, Now. IJN. Yes..
Scorpions, how you guys doin' ? Good. Gotta have: Winds of change. to do according to HIS perfect plan. For more clarity on this, visit the NDE page esp the Dr Eban Alexander sharing. We are here at His Jubilee in Oneness. is hanging out now and forever at HIS starsite. http://EarthPartyNow.com Stop by and visit and tell everyone about it iif led. Ed note: this skype room ran its course and is no longer active.). Ever wish there was a place to share a great quote, something that made you laugh or inspired you? We have a skype room called Sunset Grill Team. You are invited to visit. And you can tell us about your great opportunity there too. Ed note: 8/2/13 No need to post hot $ making opps; passe in a cashless society. We gratefully embrace our diversity and uniqueness of every one of us! Now here's a word from our mascot. Take it away, lucky! No obligation, just sharing good stuff & Fun! One other thing to lay on you folks, you awesome children of God. Three things for Rich success in life. 1. Put God 1st in all things. 2. Make Jesus your best friend. 3. Give your heart to Mother Mary. She will give it right back in Divine love and compassion. Love, light and keep smiling! Thank You Father and Thank you Boston. but it is highly suggested that you listen to Lots of Music, the Stairway to the Stars. Announcement: August 2013 is Jerry Garcia month! You all are lovingly invited to The Jubilee! Come see all your friends and new friends at this celebratory site ~ eons in the making. Be sure to visit the 'New News' section. p.p.s If led share this good new news with Your world. The universe has just thrown this site a rather harsh curve-ball and we lost all content on this intro page. keep smiling. All is as it should be. ) Those who like to cut to the chase go to: Home, anyone? Off to work, retirement for all is here. Let's all go home. Amen. "p"
First, Thank you for the reading. I'm listening to it, now for the second time as I write this. I had decreed beforehand that the perfect reading would come through. Listening to this I accept that the perfect reading did come through as HE wanted it. It can't be otherwise. When it was actually coming through I actually thought that hmmm - what's this about, as when Dr Peebles was going on about doing mini bios on certain musicians, it was a curve that initially I thought- I won't be doing that, isn't that already out there. And mentioning the financial benefits of doing this work- I thought, what? That is so not what I'm interested in, so mundane. And Jerry, I thought didn't sound like himself as he did for sure in the first reading and why is he talking about this stuff. John Lennon who I specifically invited to come through prior to the reading was melancholy and introspective and real. Oh, and Jimi was Jimi, what more could anyone ask for? lol Love ya man! Jesus, Thank You for Your Presence, Blessings and Peace. Divine. At the end, I thought that this really wasn't what I was expecting, so when you asked about the reading, I'm so honest I was waiting for the right words to come out but all that came out was silence. I do have a lot on my plate but God gives us what we can handle and it's always more than we can chew. And, on way too little sleep, having gone to the Robert Plant concert the night before. Robert, the pinnacle of rock royalty was absolutely, amazingly awesome and his band was just 'crackerjack' great! So what I'm getting at, Jim, I was exhausted, it may have factored into my responses. But, again, it's perfect as God's plan is perfect. Btw, I didn't seem to notice any distortion in my diction since my upper teeth were pulled last Tuesday, I must be getting used to talking with no teeth. So I literally have nothing to chew with. lol I'm on a yogurt and slice of bread diet, but basically fasting til next Saturday when my new smiling face will be ready to shine. ) Ed note: delayed at least a week for more healing. This morning, the morning after the reading, on waking up I was visited by John Lennon and we had a crying session. It was so f'ing good to let it out. and then Jerry was there and the floodgates really opened up like you would not believe. I haven't cried like that in many many years. It felt so great, just the release and healing of - whatever.. I just choked a little now remembering it. Peace and love and Amen. Special Thanks to Jesus, Dr Peebles, Jerry Garcia, John Lennon and Jimi Hendrix. Extra special thanks to my Mom, Marie, for coming forward and yes, suggestion will be worked on. Do see vid of Mr Stevens on one of the music pages. A shout out to all the Company of Heaven, Archangel Michael and Company ~ that includes Everyone, no one is left out, no one. Amen. Everyone can play in HIS Band: " The Grateful Living." Ok we have a new group in town, beloveds. Actually they just changed their name to SRV and the Eternals. Yes, They are beyond counting in numbers. Gratefully, we humbly acknowledge we are all one in Divine Love of Heavenly Infinite Father Mother God Creator ALL THAT IS ~ In Jesus Name. And so it is now and for all eternity into infinity forever and ever and ever, Amen. Peace to all and out for now. p.p.s. Ok ladies and gentlemen, boys and girls... here's your link to deep end communication. Bruce, what are you up to, bro? Thank you Bruce Springsteen & The E Street Band. Thank You God, Jesus, Mother Mary and Company of Heaven. Thank you All The Children of GOD, wherever you are. Thank you Fans, Priests, Minstrels, Troubadours, Roadies, Outlaws and Gangsters of Rock & roll. Paul had a vivid dream this morning. Our signature symbol, the lighthouse, was in it. heed of the signs that Heaven shows us. Besides, all the germane 'stuff' has been shared here. As Mr Plant sings, for all of us..."Oh Father of the four winds, fill my sails..."
of ALL THAT IS, IJN. We shall see you around, friends. Are you ready to celebrate? It's time. and John ~ in spirit. Gentle visitors to this, God's Starsite, you are invited to review the 'Best Thanksgiving Quotes' at, where else? to the channelers, click on: you guessed it! Asking Father to select the song makes it perfect. Father? Wow, what more can one say. It was right there, with no questions. Money for Nothing. The three words Mark says at the end of the song say it all! Thank you Father ~ Mother. Thank You Jesus and Thank you Everyone! p.p.s. We were privileged to see Mark Knopfler along with Bob Dylan this past Sunday night in Boston. Two great bands. It was a great show! it's in our DNA. No, not everyone is Picasso, but you are you and that's enough; for God and us- your fans! So, Paul has been waiting for this moment and it is now: It's Mother Mary's selection ~ for Jesus, The Christ. Update: The 3 original sharings here disappeared, so here's 3 replacements. Let;s get to know Jackie Evancho. As Sharon says... A 'heavenly' talent. Indeed. with Jackie Evancho and Company. Thank You God, Thank You Jesus, Thank You Mother Mary and Thank You Jackie Evancho and Company! of All on Earth at this celebratory time and for all the days to come, now and forever, In Jesus Name. The revelatory and timely best selling book by Eben Alexander M.D. contains these truths for our collective knowledge. Thank you God, Dr Eben and Nightline. More info, esp watch the interview with Oprah. Thank you Oprah. Thank you Jesus and Dean. Thank you Mother Mary and Mirjana. Thank You Kate Nowak and Live (Love ) More Abundantly Productions. Thank you Saul and channeler John Smallman. Thank you Steve and Barbara Rother. It's Veteran's Day. A day we pause and reflect on our freedoms and the cost of same. And you know we had to get this song up, right? Check out live videos of this too! Sharing the following Sting Concert: Berlin 2010. Timeless music from a timeless artist. We don't watch a lot of TV but thank goodness the political ads will be over! Here's some news from our allies thru Sheldan Nidle. Congratulations Aerosmith on successful street concert and release of new album: Music from Another Dimension. Celebration time on the planet! Tweet: God says: Come one~ Come all! Visit The Jubilee and be sure to click on New News. http://EarthPartyNow.com It's time Earth had a Party! Suggestion: Tell everyone about God's site and click on Celebrate Now or Beginnings or both or all! Greetings All and welcome to November. It should be a great month with much celebration. Let's start it off with a few selections performed by the artist of the month, Sting. Thank you Sting and all the other musicians. Done Now ~ Dear Heavenly Infinite Father ~ Mother, God, Creator, All That Is, In Jesus Name." Amen. No matter what the situation is in our lives at this time, or anytime. Be grateful and thankful, no matter how hard it is. Remember, we signed our own contracts coming into this life. We are the architects of what transpires. And so it is. Amen. Set in Massachusetts where I live, I was working on a project that only 46 people had any clue about. I was to make a speech soon to them. Before that I was in a room with @ 4 people and I started to make the speech. I started by saying~ 46 people, only 46 people know about this. Millions of people out there in ( I named a bunch of towns in Massachusetts) don't know this yet.. The feeling that soon All will know was there, and it quickly accelerated to where I was prone on the floor and looking at people. My face changed to theirs and to everyone's face quickly, like in psychedelic sequences going very fast, and feeling psychological torment but not revealing any of that - knowing that I must "keep it to myself. "..........As this was going the room emptied with the quickness and ROCK AND ROLL, ROCK AND ROLL, ROCK AND ROLL was Amplified from out of my consciousness and out "there." A young teenager came in dressed in overalls and crawled beside me. I grabbed his hand, from my prone position, and just held him...........I woke up and wrote the dream in my notebook. When finished looked at the clock and noted the time as I always do. 4:59 am January 7, 2010.This will go down as one of my (HIS) most amazing dreams, (lifechanging, I hope) Shall we Rock this house? (as Badge plays on the playlist.~ now~ Spirits in the material world. Hey, that's Us! :o) Signed, Paul F Brown your humble servant, Namaste. For the record, this dream is entered in "comments" section at:http://tinyurl.com/7thheavenonearth. There you have it, as Mr Young says re: Rock & Roll "There's more to the picture than meets the eye..."
will survive and thrive thru all eternity; just like us, the grateful, immortal spiritual beings that we are. Amen. We hope everyone is ok especially those in the path of Hurricane Sandy. If you were affected, look for the silver lining. in our cards but we have to accept it. Amen., spiritual beings of love and light. It is hoped she came around to like that perfect rock album, but even so it remains one of Paul's all time favorites. Just listened to it in the car yesterday. We are all 'Gifted' equally. No one is more gifted than another. The King of Rock & Roll~ finding his place in Graceland. We, fellow show-uppers, are all in Graceland, as well. This beautiful planet could be called Graceland. upmanship and live as one mind in unity as Father Mother wants us to. Christ showed us the way and laid it out in The Lord's Prayer. "...Thy Kingdom come, Thy will is done, Now, on earth as it is in Heaven..."
Now: Announcing that "Frontiers" by Journey is the 'Official' album of this, His Earth Party Now Starsite. but the individual songs are. Thank you ForeverStevePerry's channel for sharing on YT. Thank you karly waskowich for sharing on YT. Thank you SpasticConiption Neal Schon fan page for sharing on YT. trying to 'blow the whistle' on his mission over the years. But we persist because we are led to do HIS work. It's not Paul's plan, friends, it's Heaven's plan and Paul, for better or worse, was born to be the focal point to bring certain things home. We are here, extremely grateful to be entrusted with this work, this responsibility. We try to do it well, God knows. And we also like to have some fun, because God, when we're on the right path...Is F-u-n! We are eternal. We are not going anywhere, except "upstairs." at the perfect appointed time. Only God knows. Amen. in the cards for us, shall we? Thank you Jimmy Fallon and The Boss. Thank you again Mr Young. See you at the TD Garden in Boston, soon. We are led to share with you the fact that it's no accident that you and we are here today. This is spirit channeled information and study material thru Dr Townsend, the channel. The course was very good as one would expect having come from God from whom all things come, in ultimate actuality. All the great books, all the great songs, movies etc.. Everything is channeled thru us from God, though we, most of us, take all the credit. 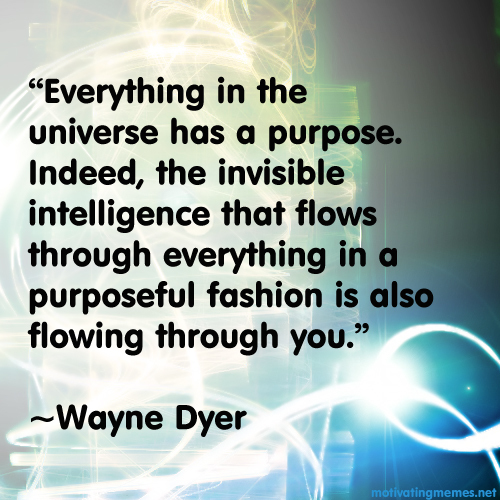 Dr Wayne Dyer would second this information. At the end of the course Dr Janet relayed that I, Paul, would be bringing forth 'new news' in the future. We had pretty much forgotten about it til recently. The first new news entry was on this site September,16, 2012. As it says there and on the first page of this starsite, we are about total transparency with nothing hidden whatsoever. like us all, is and has been in the cards since, really, time immemorial, as part of Heavenly Infinite Father's divine decree in the beginning. this is something that I, Paul, the humble servant sharing this information is extremely grateful for. We are as eternal as God is, folks. closed soon as God's new paradigm does not need currency when we and everything are free. His will on earth as it is in Heaven. to start giving things away? We shall see. What more is it all about? Let's let the music do some talking. Thank you Mr Richie Havens. Thank you Crosby, Stills and Nash. Thank you Joe Cocker and The Grease Band. the song is just proof, ever more so, that the universe is alive and listening and cares that we find our way. Thank You Mary for making our day and thank you to the lovely lady who left the card. Richest blessings. p.p.s. Our salutation at the top of this correspondence was to The Gifted Ones. As we are all one. What's good for one is good for all. each and every one of us reflecting God as who we are. Can you say "Thank You God!" "Thank You Jesus" and "Thank You Mary!" Amen. p.p.p.s. Check out the October Beacons of Light in the 'Other Beacons' page. Relevant to this. Well done, humanity, well done. Off to see the Gloucester fisherman but must comment on the Blue Oyster Cult show last night. As usual the boys were great. Astonomy accoustically as part of the encore. Very tasty stuff. Come back soon guys! Here's probably our favorite BOC song. Hope you enjoy. Father, would You like to post something? Dedicate this to Mary. Thank You Mary for watching over us all, God's grateful children. who make up Rush, deliver a spectacular multimedia extravaganza. The musicianship and big screen movies and lights ~ simply amazing! All the 18,000 plus Gods who attended the show were fed and left smiling. Thank You Rush and God who makes all happen. Paul, the working fella - who sure hopes to retire soon, with everyone else! is off to beautiful Gloucester. Hope you all have a great day. Paul will, esp since he gets to see none other than Blue Oyster Cult tonight, God willing. Leave you with a song that's been playing in our head for a few days. Father says 'play it' so here's Ace. One more for the road...Father's choice. Ah, yes, I'm sure we'll be hearing that one tonight. Thank You Father! Greetings to you who are reading this. Who else, right? We dedicate the following song to all the hard working fishermen and Jesus, The Ultimate Fisher of men. Paul is so privileged to follow in Jesus footsteps just like that other Paul two thousand years ago. hard working musicians on the planet. p.s. Here's a statement if you would like to help spread the good 'new news' of this, HIS Starsite. You are invited to take the magical mystery tour of Heavenly Infinite Father's Starsite w related videos, slide shows etc. And so it is Now, IJN. Amen. in paradise, for that is where we are. We can be Free Now, if we allow it. Here we are the 22nd day of October. 22 is the l-o-v-e number in case you didn't know. planet that you, and he, have to scurry over every day to make ends meet. And isn't there usually more "ends" than "meets!" by industrial strength protection and the decree's Perfect timing playing out. Guess what? The time has finally arrived. Thank God! Here's a song to think about. And one other thing straight from the Father. What will it be? Let's find out together, shall we? and unfettered. I saw an immortal spiritual being the other day. Actually we all see them. They're everywhere these days, holding signs. to get through a day. It is the Father's good intent to give us the kingdom. It is not on sale at any price. It's Free. This lonely voice in the wilderness says NOW. And so it is Now, In Jesus Name. Amen. aka as "Ace," & "the Heaven on earth guy"
Your and HIS humble servant. p.s. This should be a very 'fun' week as Paul gets to see, God willing, Rush and Blue Oyster Cult. Let the days of Fun begin for Everyone! love and healing for the planet and everyone on it?' Actually, we can and some are. More on this soon. So, luckily, Paul was working in Cambridge and able to stop into Cheapo and got the vintage music he needed. Frankie Valli and Roy Orbison. Another great find is Planet Records on Mt Auburn St. just down from Harvard Square. Paul got George Harrison's 'All things must pass' there. Greetings party goers at this celebratory site of Our Father. paradigm does not support those. and you'll find a treatise there on what it's all about, Alphie. p.s. Here's a song specifically designed to synchronize with the master plan of God, hope you enjoy it. Thank you Mr Bob Seger. Greetings fellow immortal spiritual beings. as an immortal spiritual being rather than a member of some religion. For that is truly what we are. come and enjoy spiritual upliftment and commeraderie. The music is our means of communication where mere words just don't get the job done. "There is no political solution, to our troubled evolution..."
Thank you to The Police. Smilebox presentation. Look for link to it here. Ace, the working man is off to work but leave you without a song? Pick out something good for us Father. Please. Thank you aristacourt for sharing on YT. Thank You Father. Perfect, as usual. Have a perfect day Folks and if you "go with God." You can count on it. #1 Rock Hall of Fame inductees in the Now Heaven on Earth. by divine decree carries the day and all of us to a new genesis in a higher spirit dimension. Maybe u2 feel the oncoming energies quickening? Yes, all is well and Heaven on earth is on. The dark ones are still acting up over the world. Someone please tell them the game is o-v-e-r.
We're in a revolution, as the Allman Brothers sing. Love has triumphed. Time to lighten up and fly like free eagles we are. p.s. Let the humble servant retrieve a song to feed the hungry flock, hold on. Thank you Flock of Seagulls. These things come in threes, Father what would You like to share? Thank you to all of you on the threshold of Magnificense, now. p.s.. A new page is up: Can We Talk,. Quick update to those following events at this- God's Starsite. Paul, aka as "P" for short has a new nickname. not the diamond, nor the club or the spade ace. That leaves that other one- we all know what that is. at the beginning. God's Love and mercy and rock & roll will solve all our situations. p.s. Expected release, as time allows, is within 3 days. p.p.s. It's up to you reading this if you want to pass it on to everyone you know inc media. It is suggested that if you do such action- you will reap great cosmic benefits. If you like what you see here and just keep it to yourself, you lose. only seems to get stronger. Nancy and the great band simply 'brought it!' All who attended got fully fed! Father says it's time to get a clue as to 'What's going on' ~ Marvin Gaye; can you shed some light? Thank you Mr Marvin Gaye. Bob Marley shares the truth in song as only he can. Testify, our courageous friend! Thank you Mr Bob Marley. Time has finally come for God's children to go home. Neil Young has the honour of providing a soundtrack. Have a great day folks, if you're going to the Heart concert tonight we might see you there. It will be a great concert. and we wouldn't want it any other way. We all love You and we all say "Thank You God!" In Gratitude and Thanksgiving. Amen. We here at Earth Party Now let the music do the talking. So ~ Take it away Mr Lewis & co.
Earth Party Now Press release. If led pass it on. The world needs good news, don't you agree? Thank you Huey Lewis and The News. not plodding along trying to work with systems that are obsolete and doomed to extinction. We are the Eagles and we soar to new heights on the wings of divine truth and 'love in action' as our guide. Please review the following slide show and decide if this new paradigm is right for you. Are you an immortal spiritual being? If so, this is your party. through their classic, timeless music. There is hope, and in fact, hope and faith have won the day. We Now have forever and a day, eternal life, beloveds. Eternity is ours, now and forever. Let this song from some of God's messengers light up our way. aka as The Grateful Living. Thank you to the creators and people who upload these great videos. get this party started! Now. Tribute to Mr Clarence Clemons. Enjoy! Ok, Encore by request of The Company of Heaven ~ They are cheering us on Big Time fellow spirits in the material world. our debts as we have forgiven our debtors." From: The Lord's prayer. Amen. Have a happy, healthy and love and music filled day and forever, friends. See you around the university! In God's new paradigm, friends, you don't need money. You need a smile, a need for the item. Sorry, no unlicensed drivers will be allowed to ask for a car. And you must be grateful and say "Thank you!" See the document for this in His slide show. Ok, it's time to get on the Peace Train. Thank you Mr Cat Stevens. It's now time for God's special treat esp for those already turned on to The Moody Blues. Heaven's Rock Hall of Fame #1. Thank you Moody Blues and Murray Lerner who [along with God since God does all thru us] created this movie. Hope you enjoy and as we say "Have a nice forever..."
Thank you all and remember God loves you. Let's love one another , keep smiling and... Turn it up! " P"
Plymouth, Ma in 2006 gets to start enjoying life and this new phase officially kicks off with a date w Carol this coming Tuesday. Seems humanity has a choice. Be thick as a brick or accept and allow the new paradigm change.i.e. Those immortal spiritual beings who want to get on with human evolution may choose this bus- way. And leave the driving to us. Make no mistake, the Father of All That Is is doing this thru the humble servant. So here's an option for you, musically speaking, since we do let the music do the talking. We'll leave you today with a selection from Him, and Paul is as curious to see what it will be as you should be. It's always something unexpected. Be right back. really start living as He wants His children to live. Free Free Free. Amen. "P"
Today is "P" Day! The day the mainstream is invited to find out what's been percolating underground for so long. it Earth. There are no accidents and no mistakes in nature and, believe it or not, humanity is part of nature. The game is finally over, the chips have fallen where they may. The sick economic disaster is done. to go down on HIS plan-it. Let the following song make it even more clear to the thick as a brick ones among us. people, who have uplifted us so much and who have provided the sound track to help us all get through the maya. Thank you Dave Matthews Band and Crosby, Stills, Nash & Young. See you all around the campus! Beautiful. Father / Mother ~ absolutely! Thank you Spanky and Our Gang. That was easy. Thank you Boston. And yes, the city also! right flow with God's pefect plan for you. Dear Heavenly Infinite Father (may also say) [Mother, God, Creator, All That Is] of All That Is ~ In Jesus Name". Amen. The "In Jesus Name" gives it the Great Power and guarantees delivery on Angels wings to the Father. Back This was a bit of a curve ball- totally unexpected, but I love it. David Gates and Bread. Enjoy. Peace out. "P"
Just as last years spooky month of October was declared Neil Young month, at the 7th Heaven site, so it is this year of Our Lord, 2012. Enjoy the Fall and try to get outdoors as much as possible. Remember real life is not inside that box so many stare at all day. While we're at it November will be Sting month- same as last year, and December is always Jesus Christ month. So keep rockin, beloveds, and be Free as God wants us all to be. Now. p.s. September was Jerry Garcia month. Hope you had a good one. "P"
p.p.s. We are working on a new Smilebox presentation that will be inclusive and feature some of those people not in previous ones. It will be a while so stay tuned. We're off to our 'real world' job. Take care. p.p.p.s. Click on Popular Demand and get the Neil Young and 'Company of Heaven' message to Humanity. The following was added at the completion of 'Popular Demand' page after Boston video tribute to Brad Delp. This qualifies as 'New News' - don't you agree? Keep rockin' and smiling beloveds - the best is yet to come. Big Time! Brad, the following playlist is dedicated to you.. Thank you and Thank You Jesus! p.s. These 153 songs are the survivors of a list capped out at 200. May or may not be replenished. "Have a nice forever, beloveds." "Have a good and blessed one" "P"
"I can say that God." "P"
Divine Rock & RollI Intervention. I can even say ' Divine, Infinite and Eternal Rock & Roll Intervention!' Amen. It's a Led Zeppelin Omniverse, everyone. These are the days of divine gratitude & celebration on 'plant' it earth! Entitled Celebration Day, the film will be released on 1,500 screens on October 17th. The concert – taped on December 10th, 2007 at London's 02 Arena – will then be released on "multiple audio and video formats" on November 19th. for crying out loud! ) Speaking of good times, I received my 4 Blue Oyster Cult tickets yesterday for show October 25th. It will rock the planet- guaranteed! Off to work, have a great day, my friend. p.s. Everyone is invited to His party site, Everyone invite Everyone. Thank you! You are correct, I never got the gmail message from you so its good that you sent it again using this other address. that, how about one big party. And there you are! I got a notice in my gmail that the following email I sent you yesterday was delayed and you may not have or ever receive it. I'm resending it here on yahoo. Check out the Earth Party site. Good new news of love finding its way to benefit everyone is worth sharing imho. and interesting manner. It conveys an ordinary guy, I think, with an extraordinary mission, if you will. This will be added as soon as we get to re-recording it from file. And I welcome any thoughts you may have on it, Jim.
!) Make our mission of sharing His love & light clear and accessible to the masses. 2) Provide great information to those who want to have a healthy colon. ~ many of whom showed up at the reading is alive and thriving and cheering us all on. 5) Share a Hug and more with Lord Sananda. 6) Share God's love and compassion for His children. Is Love Divine Infinite & Eternal and will not be denied. Amen. Addendum. "And So It Is, Now, In Jesus Name, Indeed, "YES." "THANK YOU GOD WHO DID & DOES EVERYTHING FOR ALL OF US. IJN ~ YES." who have shared these treasures - videos, photos and other art throughout this site!